Senator Risa Hontiveros called for the resignation of Public Attorney's Office chief Persida Acosta on Friday. MANILA - Senator Risa Hontiveros called for the resignation of Public Attorney's Office chief Persida Acosta on Friday over the latter's alleged "scaremongering" on vaccination. The senator made the call amid an outbreak of measles in at least four regions in the country, which came following a dip in immunization coverage last year following the controversy on anti-dengue vaccine Dengvaxia. The Department of Health said it has recorded at least 14 deaths due to measles in different regions, while the San Lazaro Hospital in Manila has reported 55 since January. Hontiveros said Acosta's "politically-motivated" investigations on the government's suspended dengue vaccination program has led to the public's loss of confidence in immunization. "Her lies and hysterics contributed directly to the erosion of public trust in our vaccination programs," the senator said in a statement. "I call on Acosta: resign your post. An important agency like the Public Attorney’s Office (PAO) cannot be left in the hands of a person with such a track record of lies, negligence and hyper-partisanship," Hontiveros added. Acosta earlier washed her hands off the vaccine scare plaguing the country, saying it is not the job of the PAO to promote vaccination. "Hindi trabaho ng PAO na i-promote ang mga bakuna. Kung sa Dengvaxia, nagbahay-bahay sila (Department of Health), nag-school based, nag-community based, bakit hindi nila ginawa sa measles vaccine?" Acosta said. "Kung sa Dengvaxia bumili sila ng P3.5 billion worth na Dengvaxia, ganiyan din ba kalaki ang ginastos nila sa measles vaccine? Ngayon, magkaroon ng measles outbreak, kasalanan ng PAO," she added. The PAO chief is leading an intensive investigation into alleged deaths due to Dengvaxia and has filed several complaints against former officials who implemented the nationwide dengue vaccination program in 2016. Acosta had claimed they have autopsied the bodies of 113 alleged victims but that the total number of those affected has reached 600. Health Secretary Francisco Duque III earlier said low trust in the government's immunization drive may be attributed to the Dengvaxia controversy. 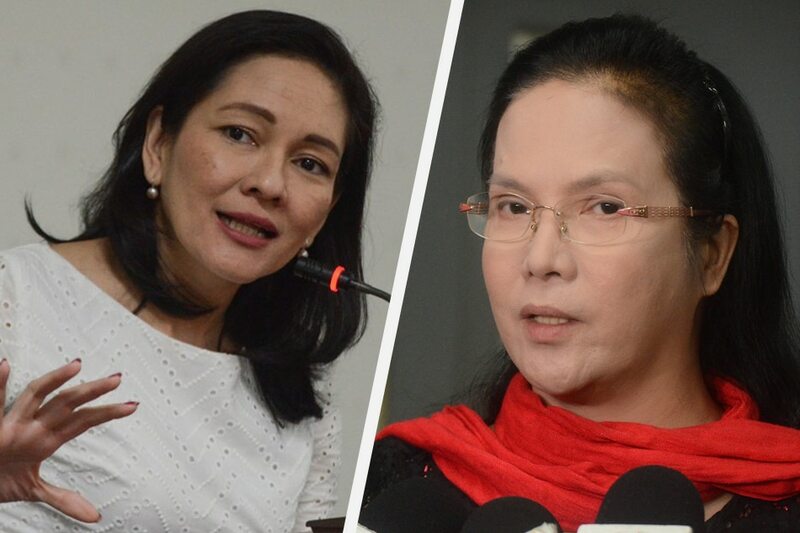 Hontiveros alleged that Acosta's "scaremongering and politically-motivated investigations on the Dengvaxia issue" has "sowed fear in the hearts of so many parents to have their children vaccinated." "Because of her antics, faith in the advice of vaccine experts and doctors is on the decline," Hontiveros said. "The fact that she refuses any responsibility for her actions not only betrays public trust but also insults all the families she has injured," the senator added. ABS-CBN News has reached out to Acosta for comment on Hontiveros' call but the PAO chief has yet to respond as of posting.